Home > Articles and Insights > The Defend Trade Secrets Act: How Does This New Law Impact Employers? The Defend Trade Secrets Act (“DTSA”), recently signed into law by President Obama, has generated much conversation among employers. Intended to strengthen trade secret protection, the Act creates a federal cause of action for trade secret misappropriation claims occurring on or after its May 11, 2016 enactment date. State law has historically governed trade secret misappropriation, and, as such, presented an arena for litigation with significant variations from state to state. Although some plaintiffs could establish the diversity jurisdiction required to prosecute these claims in federal court, many litigants were limited to state court prosecution of these claims. As an amendment to the Economic Espionage Act, the Defend Trade Secrets Act now provides a federal cause of action for civil trade secret misappropriation claims in which the trade secret is “related to a product or service used in, or intended for use in, interstate or foreign commerce.” While DTSA provides the benefit of uniformity through the use of Federal Rules of Civil Procedure and the Federal Rules of Evidence instead of state-specific rules, DTSA does not preempt state law. This means that litigants may choose to pursue claims in both forums, and, as such, parties should be aware of the existence of both options. Further, as a new remedy in the trade secrets context, the Act provides a seizure mechanism for misappropriated trade secrets. No state law has ever provided an employer with this remedy. Under DTSA, without notice to an opponent, a party may apply to the court for an order providing for the seizure of the trade secrets to prevent their dissemination, but only if “extraordinary circumstances” are demonstrated. Future case law interpreting the DTSA will serve to define what constitutes “extraordinary circumstances” as this term is not explicitly defined under DTSA. The Act also establishes a list of additional safeguards that must be met for the order to be granted, such as the requirement of “immediate and irreparable injury” in the event seizure is not awarded. DTSA also includes a whistleblower provision, providing both criminal and civil liability protection for individuals who disclose trade secrets to government officials or attorneys to report a violation of law. If an individual files a lawsuit premised on an employer’s acts in retaliation against the employee for such disclosure, the DTSA provides that the individual may disclose the trade secret to his or her attorney. An important provision of DTSA requires employers to give notice of the whistleblower provision in “any contract or agreement with an employee” governing use or misappropriation of trade secrets to recover exemplary damages or attorney’s fees under the DTSA. To provide such notice, the employer may cross-reference a policy document that details its reporting policy for suspected violations of law. In order to ensure compliance with the DTSA, this policy should contain the notice language specified in the statute. An employer’s failure to provide this notice may preclude the employer from recovering exemplary damages or attorney fees. Because the provision applies only to contracts and agreements entered into or updated after DTSA’s enactment, it is not necessary to replace existing agreements that are not later amended. In the wake of DTSA, there are several steps that employers should take to implement its provisions. First, employers should clearly identify and protect items that constitute trade secrets to protect these rights in the event of later misappropriation. Second, employers must include notice of the whistleblower provision in employment agreements entered after DTSA’s enactment in order to take advantage of its protections. While agreements that existed prior to DTSA’s enactment do not need to include this notice, employers should consider adding the notice provision to existing employment agreements that contain confidentiality provisions and trade secret protections in order to preserve the right to demand attorney’s fees in the event of the employee’s violation of the DTSA. Finally, the Act broadly defines the term “employee” such that employers should consider including the DTSA notice in agreements with other individuals, such as contractors and consultants retained by the company. The Defend Trade Secrets Act provides an appealing avenue through which employers may pursue misappropriation claims. Its potential for uniform review of such claims will provide employers with a more certain option for litigating allegations involving trade secrets. 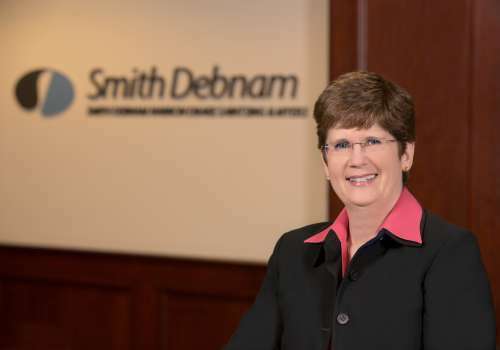 If you have questions about the impact of this federal statute or any other matter relating to employment practices, please contact Connie Carrigan at ccarrigan@smithdebnamlaw.com.